Just a quick shout to anybody in the Southern California region, a few of us are getting together on Sunday afternoon at Newport Beach for a little photowalking. Nothing formal, just a chance to get outside and hang out. Anybody is welcome to join us. Seriously, if you’re in the area, come hang out for a little while and take some photos with us. Everybody is welcome to join. 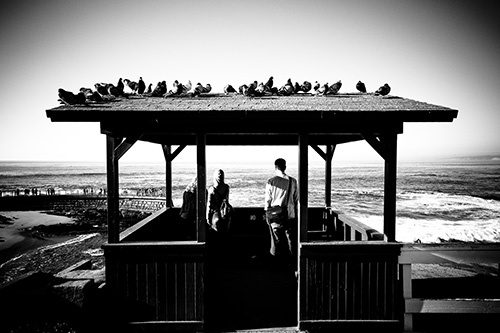 We’ll meet at the base of the pier and start wandering from there — no plans, we’ll just go wherever looks interesting. Last time we went to Newport Beach, we couldn’t get to this area because it was so crowded (nowhere to park the car), so we ended up down by Balboa Island. But it shouldn’t be as crowded now that it’s January, and we wanted to check things out up by the pier. 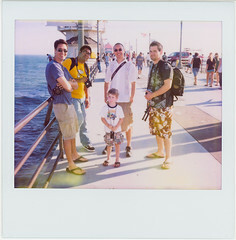 Here are my photos, Bryan’s photos, and Alex’s photos from the last Newport Beach and Balboa Island photowalk. This entry was posted in News and tagged California, News, photography, photowalk on January 1, 2009 by Brian Auer. Just a quick shout to anybody in the general vicinity of Southern California — A few of us are hanging out at Venice Beach on Saturday, October 25, 2008. 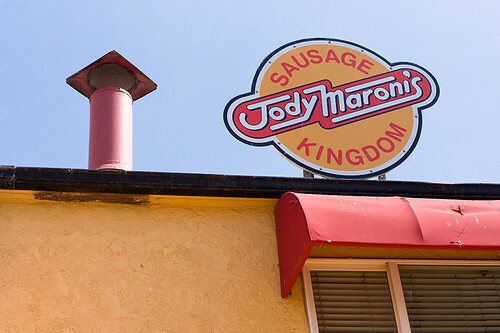 We’ll meet up at 3PM near the “Sausage Kingdom“. We’ll stick around until sunset, then leave before it gets dark (and scary). If you’re in the area, come hang out and shoot some photos with us. Nothing formal, just a couple hours of walking around and soaking up the atmosphere. If you’re planning on coming out and you don’t see us (or if you’re late), don’t hesitate to give me a call at 208-659-2901. 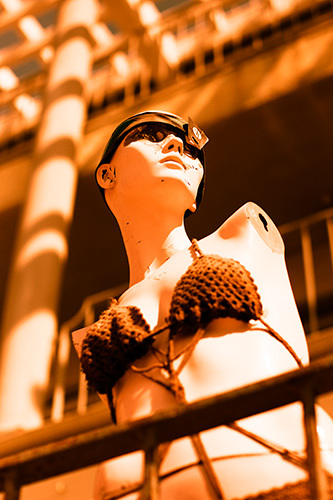 This entry was posted in News and tagged beach, California, News, photowalk, Venice on October 24, 2008 by Brian Auer. 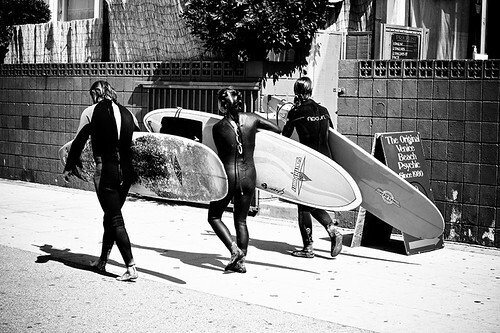 This photo was taken while I was hanging out with a few friends one afternoon at Huntington Beach. It was kind of a last minute “whatcha doin this weekend” sort of thing. Bryan Villarin (F/B/T), Arnold (F/T), Jason Stone (F/B/T), John Watson (F/B/T), my son Rex (F), and I (F/B/T) were all there to grab some shots of the beach and pier while we waited for the sunset to see if anything exciting would happen (you can see them all in this Polaroid I took). Just as we were finishing up dinner, the sunset was approaching so we zoomed back over to the beach to grab some shots. I only had film cameras with me that day (4 of them), and I had been shooting black and white with my SLR and TLR. I still had about 10 shots on the roll in the SLR, so I finished that one off and quickly loaded a roll of Velvia 50 with the intent of cross processing. I got about half way through the roll before the sun was gone. If I had decided to swap out the roll in my TLR, I probably would have missed it altogether. 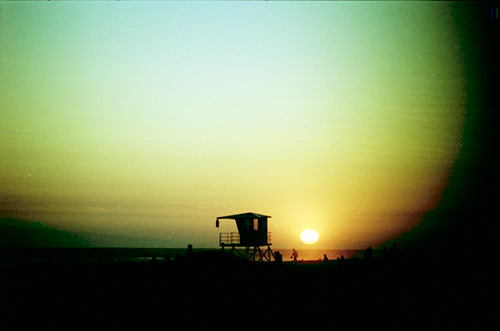 I took the Velvia with me solely for the purpose of shooting the sunset and cross processing it. I assumed that the Velvia 50 would turn out the same as the Velvia 100 when cross processed, so I was expecting to get some serious red/magenta shifts on the already red/orange sunset. Instead, I got a blue/green shift similar to what I’ve seen with Ektachrome. I’m not at all disappointed with the results… it’s just not what I had expected. And on top of all that, I got this really neat photo that ended up with a heavy vignette/underexposure on the right side of the frame. Very cool results all around. This is one of the reasons I’m attracted to film — sometimes the results are completely unpredictable, but better than you had expected. Yup, seriously… no digital post processing other than maybe some dust removal. Sometimes I also adjust the white balance on my cross processed stuff to remove most of the color cast, but I left this one alone. This entry was posted in PhotoBlog and tagged 135 format, 135mm, art, art photo, ASA50, beach, California, color, cross process, Film, fine art, fujifilm, Huntington Beach, Minolta SRT-Super, ocean, outdoor, outside, photo, photography, photowalk, slide film, sun, sunlight, sunset, United States, velvia, xpro on July 10, 2008 by Brian Auer. I set it up for after lunch so we don’t have to try finding food for under $20 per person. But if you’re into food, you might want to show up early and hit one of the many restaurants down near the water. 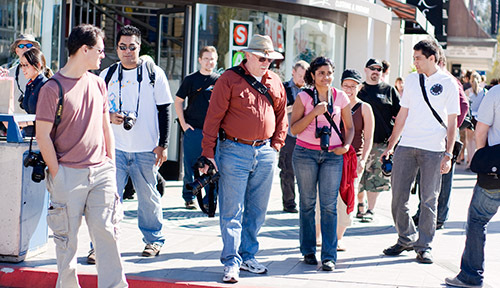 Join us in Orange County’s Laguna Beach for an afternoon of photowalking. 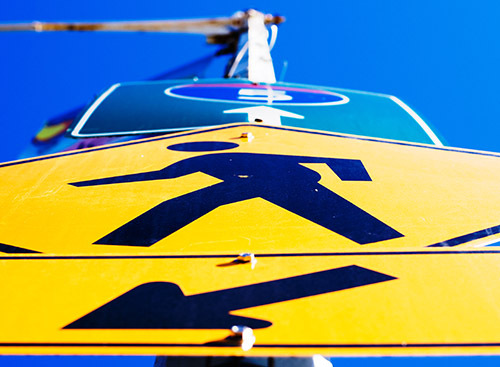 We’ll begin our walk at the Festival of Arts building on Broadway, walk all the way down Broadway until we hit the Pacific Coast Highway, then we’ll turn our attention to some of the more active streets in Laguna Beach — Ocean Avenue and Forest Avenue. When we’re done with the busy street scene, we’ll head down to the beach and walk along the boardwalk. For those who want to do a little more beach photography, we’ll then head over to the rocky shoreline to see what we can find. There’s a large parking lot available across the street from our meeting place, and parking will cost $3 for the day. Bring a few extra dollars in case you need to park in a different lot, prices will vary between $3 and $10. 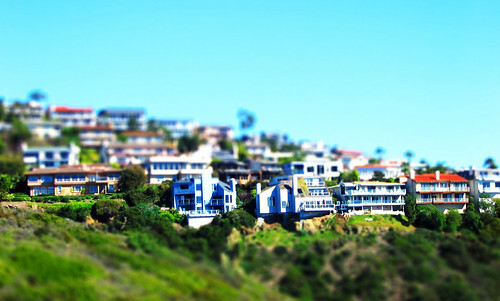 Laguna Beach is fairly simple to reach from the major freeways. Just hop on the Laguna Freeway 133 (also known as Laguna Canyon Road) from the 73, I-405, or I-5. The canyon road will take you all the way down to our meeting spot and into Laguna Beach. 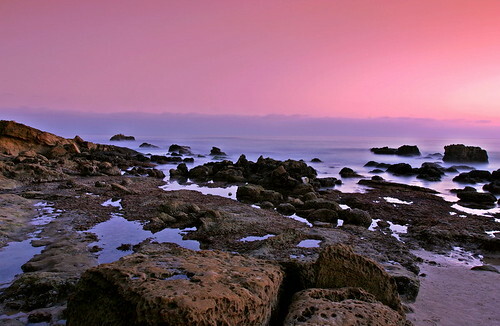 Or for those coming from a nearby beach town, you can take the Pacific Coast Highway into Laguna Beach. Hopefully the weather will cooperate with us that day… but hey, it’s Southern California. There’s a 99% chance it’ll be sunny and warm. And if all of this isn’t enough to persuade you to come hang out for the afternoon, it’s my birthday (on the 31st) so you owe it to me! This entry was posted in Quick-Tip and tagged beach, California, event, laguna, laguna beach, photography, photowalk, photowalking, social event, southern california on March 20, 2008 by Brian Auer.